I couldn't quote the exact words of Nick Fury while talking to Black Widow about Hulk during the ending scenes to Avengers: Age of Ultron but he said something about "hoping for the best but making do with what you actually get." But why their conversation led to this can be explained in 2 hours and 22 minutes of reel time. But just an overview, Black Widow (Natasha Romanoff) suddenly become romantically interested in the Hulk (Bruce Banner) and is just best friends with Hawkeye (Clint Barton) who who is already married with 2 kids and his wife is even pregnant with a boy. Fury apparently helped him keep his personal affairs a secret to protect his family. Due to a secret lab in Sokovia, where human experiments were made using Loki's scepter, two characters were introduced - the twins Quicksilver (Peter Maximoff) and Scarlet Witch (Wanda Maximoff). The latter exposed the Avengers (or most of them) through their worst fears. Ironman's premonition about a possible future of a galactic war where everyone in their team dies led him to collaborate with Dr. Banner for a new type of armor using the gem found on Loki's scepter. This gave birth to Ultron, who was able to process his own thoughts via artificial intelligence. 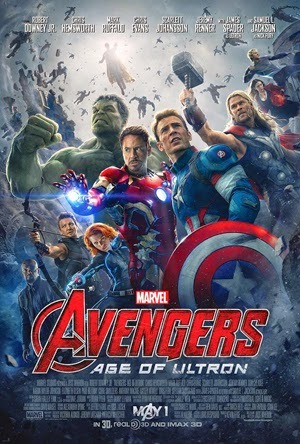 Ultron recruits the twins, acquires vibranium to build his troops or rather makes versions of himself (and a powerful bomb that can annihilate Earth), and mentally manipulates Dr. Helen Cho (through Wanda) into engineering a body for him using synthetic tissue engineering (the same type used to help Hawkeye heal faster from a wound he sustained during the mission to retrieve Loki's scepter). The Avengers were able to intercept the transportation for the synthetic body. Tony Stark and Banner once again secretly experimented on something despite protests from Capt. America (Steve Rogers) and the new recruits, the twins. Thor was able to grasp the meaning of his vision with the help of Dr. Erik Selvig (after the Scarlet Witch attacked them mentally) and helped transfer JARVIS into the engineered body. He then becomes a new character called Vision. Sadly, Hawkeye retired to be with his family while Ironman was pondering upon the thought of a simple farm life at the end of movie. Thor also leaves to deal with issues in his celestial abode. Even Hulk intentionally disappeared. One of the twins, Quicksilver, died during the mission to stop Ultron's Earth bomb annihilation mania. So that leaves Capt. America with Black Widow and new recruits - Vision, Scarlet Witch, War Machine (James Rhodes), and Falcon (Sam Wilson). Gone are the days when action movies followed the usual formula of building a plot through storytelling at the beginning and slowly progressing towards an action filled climax. At this Avengers sequel, it was action packed from start to finish. Quicksilver's death at least ended the debate as to which Avenger dies. This issue started all the way back in 2012 when the sequel was first announced due to the success of the first Avengers film. There was a teaser showing Thanos after the credits rolled at the end of the first movie. This sequel still didn't focus on Thanos though although Thor referenced him and the Infinity Gems after the creation of Vision. Most of my assumptions for Avengers 2, 2 years ago were wrong. 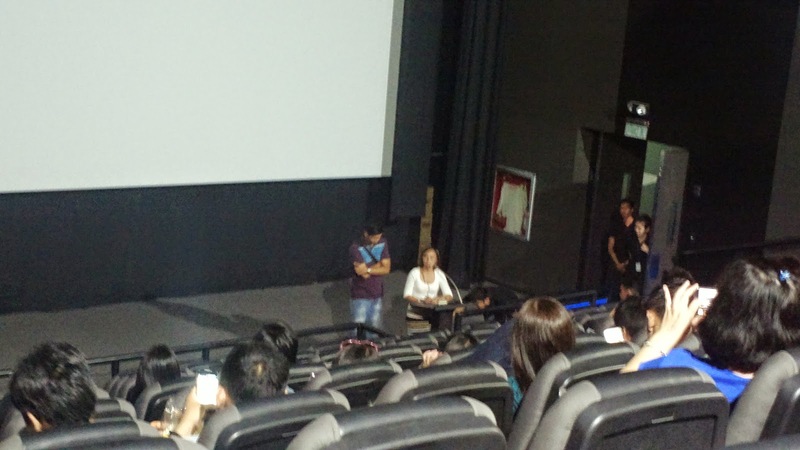 Although we waited for more than an hour before the screening started, I enjoyed the trailers and the opportunity to not only watch a good movie but also support a good cause. Proceeds will be used for JCI Parañaque projects.